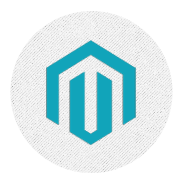 Magento Ecommerce development services Nagpur|Pune|Mumbai|India, ALIF IT Solutions Pvt Ltd.
At ALIF IT SOLUTIONS PVT. LTD. Concepts we leverage the many potentials of Magento along with the other modern technological developments to deliver eCommerce websites that will deliver a compelling experience to your customers. Our development team is comprised of Magento developers, web designers and other technological team, who work together and channelise their combined expertise to deliver fabulous eCommerce websites that create a market for themselves by generating a large traffic.